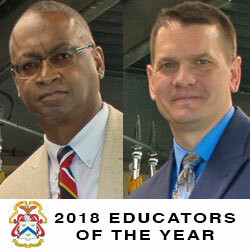 Educators of the Year are Persons of the Month – July 2018 | Command and General Staff College Foundation, Inc. 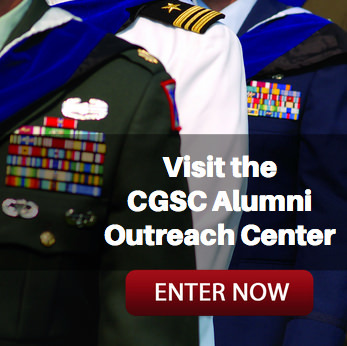 The CGSC Foundation has selected the CGSC Educators of the Year – Mr. Dwayne Wagner and Lt. Col. Brian Steed (now retired) – as the “Persons of the Month” for July 2018. Wagner, an assistant professor in the Department of Joint, Interagency, and Multinational Operations, is CGSC Civilian Educator of the Year. 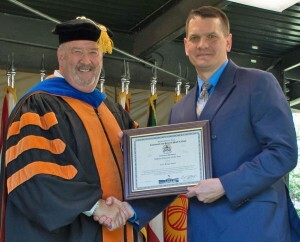 Steed, who was an assistant professor in the Department of Military History at the time of his nomination and selection, is CGSC Military Educator of the Year. Steed has recently retired from active duty. Lt. Col. (R) Brian Steed, right, accepts the award for the 2018 Military Educator of the Year from CGSC Dean of Academics Dr. Jim Martin during the CGSOC graduation ceremony on June 15, 2018. Mr. Dwayne Wagner, right, accepts the award for the 2018 Civilian Educator of the Year from CGSC Dean of Academics Dr. Jim Martin during the CGSOC graduation ceremony on June 15, 2018. Steed’s career in the Army was definitely not the “norm.” He was an armor officer and a Middle East foreign area officer who spent eight and a half consecutive years in the Middle East, including an assignment as an officer in the Jordanian Armed Forces as part of a U.S. Army personnel exchange program, and as a liaison to the Israel Defense Force – assignments which afforded him rare perspective. His experiences obviously shaped his approach as an instructor until his retirement in March 2018, after four years in the CGSC military history department. 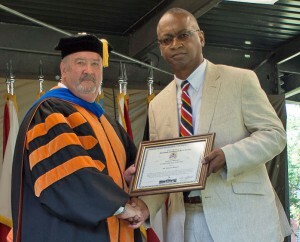 Like Steed, Wagner, the recipient of the civilian educator of the year award, is also a retired Army officer and has been a CGSC instructor since 2008. He expressed similar humility in being selected for the award. Wagner’s selection for the award was made by Fort Leavenworth leadership, but many of his students felt he was an outstanding instructor regardless. 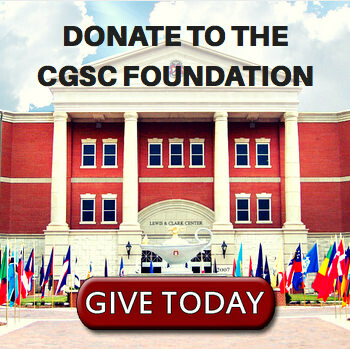 The CGSC Foundation is proud to salute Mr. Dwayne Wagner and Lt. Col. (Ret.) Brian Steed for their commitment and accomplishments. They are more than deserving of our “Persons of the Month” recognition.